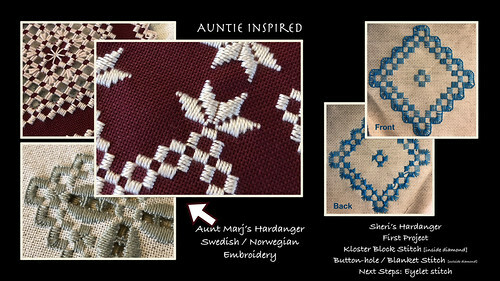 Aunt Marj's lovely embroidery -- Norwegian/Swedish style called hardanger on the left. 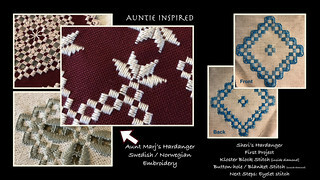 She inspired me to try it; the first part of my project is on the right. It includes right/left handed directions. Not difficult; relaxing; fun to see the beauty of the design take shape.